Ibrox Noise: Predicted XI for Killie - a shock start for duo? Predicted XI for Killie - a shock start for duo? Rangers return to domestic business tomorrow following yet another triumphant night in Europe. As manager Steven Gerrard points out, this fixture rather punches us in the face in light of barely 48 hours recovery time between the Success in Slovenia and the Krunch at Killie. The home side will be stiff, well-organised and tough to break down, and with the plastic pitch as well to contend with, manager Steve Clarke has made Rugby Park one of the hardest places in Scotland to travel to. Indeed, since Clarke took charge there, they have only suffered five losses at home, and two of them were on penalties in the cup. In short, despite Rangers’ excellent recent form, this will be a tough nut to crack and Gerrard has admitted that his selection will need a little freshening up from midweek exertions. The back four will remain as it was, bar new signing Borna Barisic returning at left back after ineligibility, but midfield may see a change or two – Ryan Jack should continue, but hopefully Lassana Coulibaly’s thigh scan went well and the Malian will be available for the cup match, replacing Ejaria. Scott Arfield is likely to continue as well. 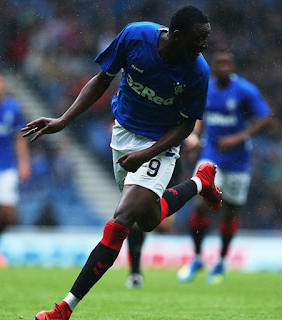 Up front there may be a surprise start for Umar Sadiq – the striker has had some bedding in time, and following an impressive display against Falkirk recently it may be time to give him a shout, and there could equally be an unexpected call for young Glenn Middleton – Rangers require some fresh legs, Killie will be stubborn and a wing wizard like he is raring to go. Finally on the right we can’t see past Daniel Candeias. Whatever team Stevie calls on will have a very tough afternoon indeed – the pitch isn’t ideal but we must live with it as we always do. Laff on a Permanent Deal and Solanke on a 1yr Loan ...Get it Done! Tav was strapped up after the Maribor game so I think Flanagan at RB. Barisic at LB. After Hallidays performance on Thursday he should get a shot in midfield, give jack, coulibaly and arfield a rest with UFA in mind. That isn’t a team I personally would pick but with the dreadful surface, Tavernier is struggling with a knee strain, Coulibaly is recovering from injury and is risky on the plastic pitch, Candeias, Arfield will be on the bench and am certain that Middleton will be on at some stage. I also think he will give Foderingham a run out as McGregor will also suffer if played on the plastic pitch. Whoever Gerrard selects will be what he regards as his best 11 and like all Rangers fans I hope his team selection provides us with the victory. The weakest link for me, is Ejaria. Have heard him described as a "luxury player" but he better be a "get the ball in the net", kind of player, today. No messing.